Behavioral Health: Adult Residential Services | Family Counseling Center, Inc.
FCC is committed to assisting our tenants in capitalizing on personal strengths and skills, to remain independent and to provide knowledgeable information regarding community access to the many services available. FCC will provide housing, support, advocacy and information to honor and encourage self-determination and personal responsibility to our elderly and/or disabled tenants. 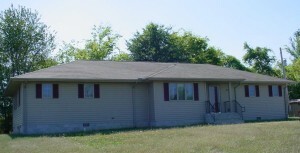 The Garden Apartments are located at 709 North 6th St. in Vienna, Illinois out by the old fairgrounds. For additional information, please call (618) 658-2611. The Heritage House is a residential facility providing services for persons with severe or persistent mental illness. Our Heritage House is located at 904 West Vine Street in Vienna, Illinois. For additional information, please call 618) 658-2611. The Legacy House is a residential facility providing services for persons with severe or persistent mental illness. Our Legacy House is located at 802 School Street in Karnak, Illinois. For additional information, please call 618-658-2611.
about our Adult Residential Services!